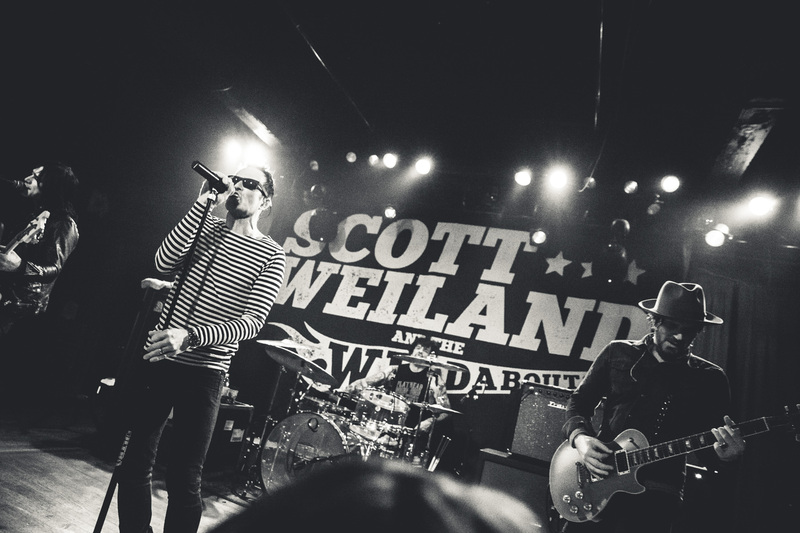 Scott Weiland and the Wildabouts. Photo by Sundel Perry. 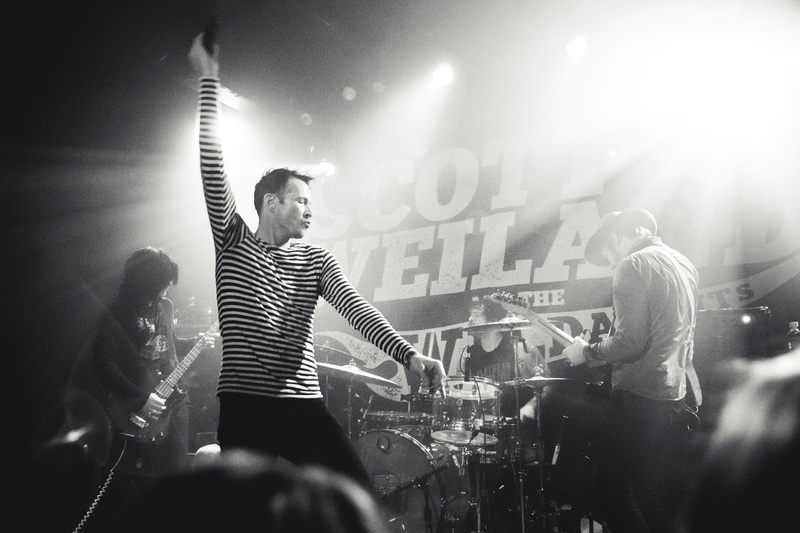 We never thought we’d have the opportunity to see Scott Weiland perform in an intimate club like Mercy Lounge, but providence shined upon us, and he brought his new band Scott Weiland and the Wildabouts to Nashville. He also had two outstanding opening bands in tow, The Last Internationale and Stocklyn, who brought the rock in the best way. We knew earplugs would have been the smart move, but we just couldn’t resist the temptation to feel every note fully. It was worth it. Check out below for our full review, some photos from the night, and a brief interview. We got there early to secure a good spot near the stage, and it turned out to be a good move. While the show didn’t sell out, the diehard Scott Weiland fans showed up early and eagerly flocked to the front of the stage as soon as the doors were opened like piranhas after prey. Fortunately they turned out to be very friendly piranhas with whom we very vocally shared an awesome night. Stocklyn. Photo by Sundel Perry. 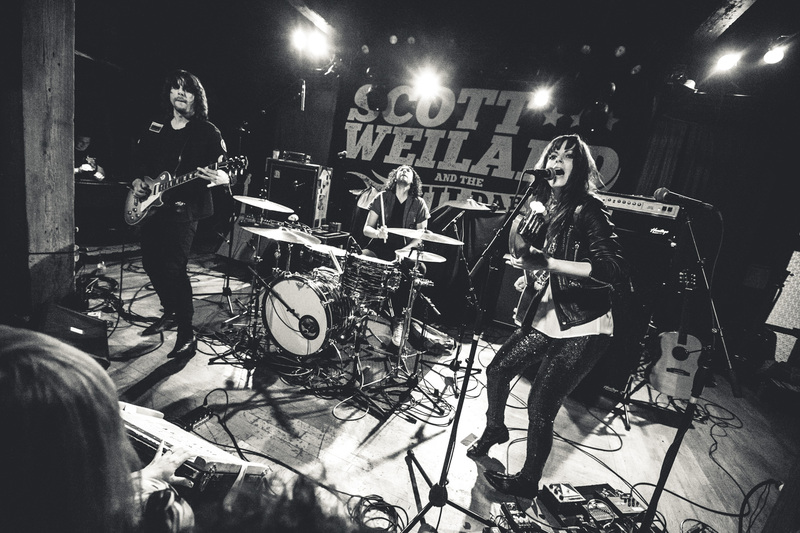 The Last Internationale. Photo by Sundel Perry. The crowd went nuts as Scott Weiland and the Wildabouts took the stage. Everyone’s eyes got really wide and pointed as Weiland reached for the megaphone and the band broke out into Stone Temple Pilots’ “Crackerman.” They pulled a few more from the Stone Temple Pilots catalog, like “Meatplow,” “Big Bang Baby,” and “Vasoline.” They even had a punked out, sped up version of “Dead and Bloated” and ended the encore with “Unglued.” The set was mostly made up of tracks from the upcoming album Blaster, due out later this month. We were familiar with a few of the songs, like “Modzilla” and “White Lightning,” since we had already gotten in on the PledgeMusic presale. The crowd was very receptive to the new tunes, as were we. It should be a great record. They also did a very loud and intense version of David Bowie’s “Jean Genie.” Weiland’s voice was great and his energy was high. It was really magical to be able to see this rock star in action from only a few feet away. The Wildabouts were hard-hitting and in the pocket all night. Our ears rang for hours and hours after the show, but sometimes that’s the way it should be. SJ: You’ve obviously had a long career full of amazing songs. How do you stay inspired to write? Where do you get your inspiration, and has that changed during your career? SW: I get my inspiration from the people I am playing and writing with. This collection of free-wheeling individuals is an amazing collaborative group. 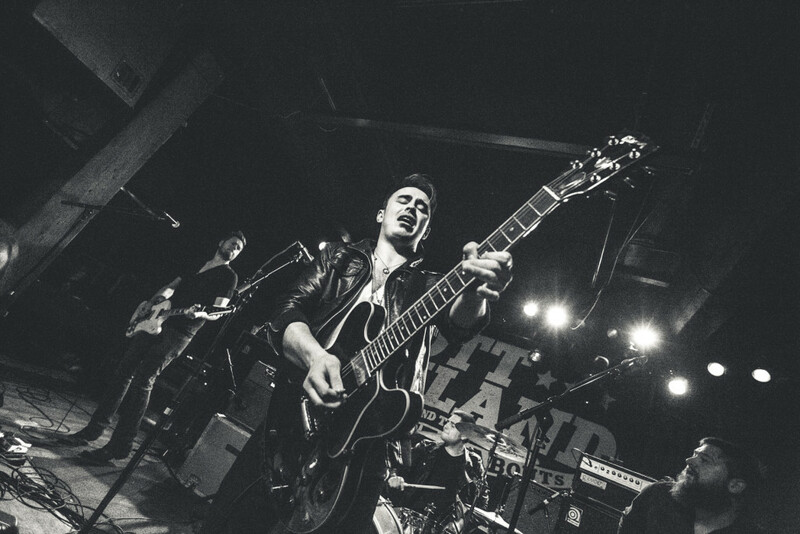 My inspiration changes between every project – a band, an album – nothing is the same except for my own voice. SJ: What’s your favorite STP album? SJ: What’s your favorite non-rock style to sing? SW: Crooning – like 50’s old jazz. SJ: What are you listening to lately? SJ: The Mercy Lounge is a more intimate club than the outdoor Fontanel, where we saw STP in Nashville a few years ago. Do you like the smaller places where you’re closer to the audience? SW:Yes, I do – there’s a lot more passion – and much more of a connection. But the big shows are fun as well. SJ: A lot of rock artists have been moving to Nashville lately. Have you ever considered it? SW: I’ve considered it for a moment, but it’s not practical at this time. SJ: Do you ever get to hang out in Nashville? Are there any places you like to visit here? SW: I signed a Nashville artist, Tommy Joe Wilson. There are a lot of amazing honky-tonks there and that’s where I discovered him. SJ: Do you have anything that you do on the road to keep yourself sane? SW: I just try to keep a light heart and focus on rocking out…and being as tight as possible. The better the shows are, the saner I am. SJ: What do you like to do when you’re not on the road? SW: Be in love with my wife and spend as much time with her as possible.